There is only one thing I love more than fall…winter! There is something about the cold weather that really makes my home…well home. I love cuddling with my family. I love how my make up sets in the mornings. I love Christmas lights. I love hot chocolate. 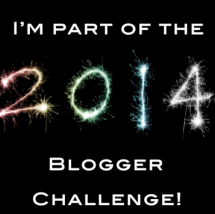 I love soup and I love CHILI! 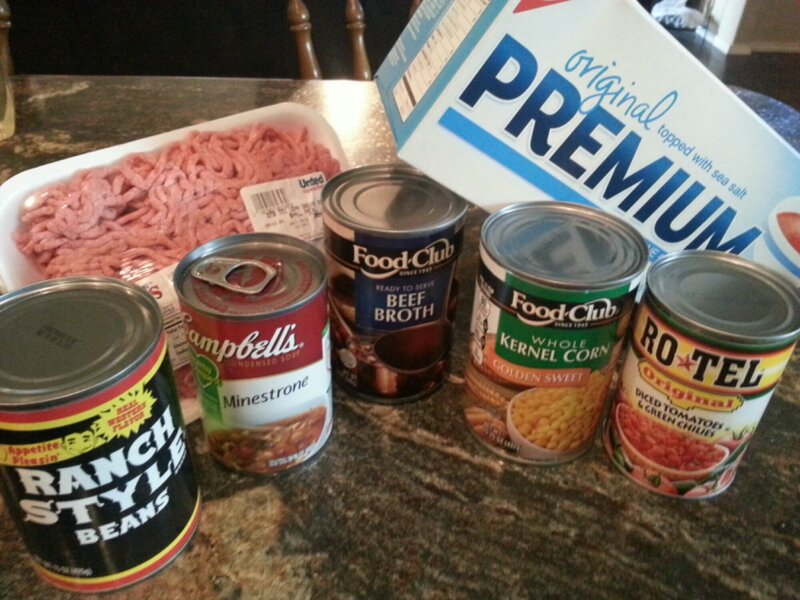 I’m not patient enough to make chili from scratch…so this is the next best thing for me! 🙂 I stole this recipe from my sweet sister Maggie, I eventually made it my own. 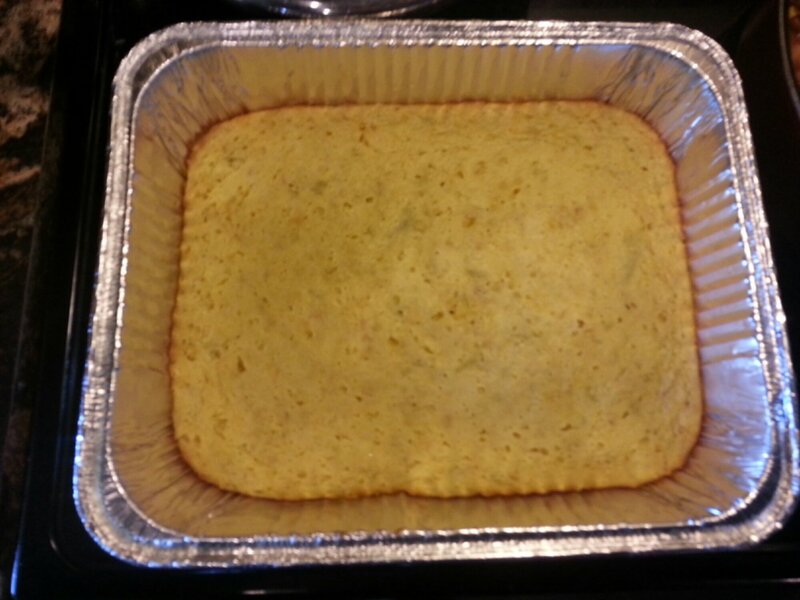 It is super simple and goes great with crackers or Green Chili Cornbread! 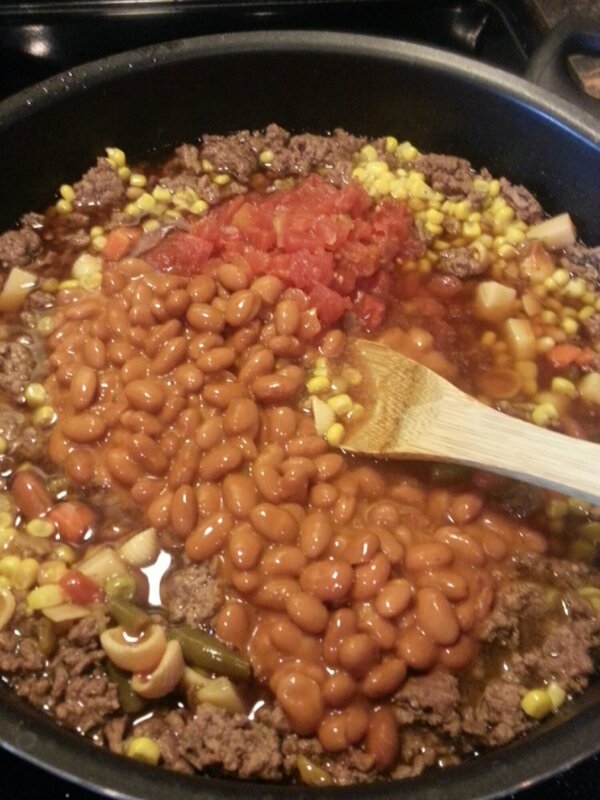 A package of ground beef, 1 can of ranch style beans, 1 can of minestrone soup, 1 can of beef broth, 1 can of whole kernel corn, 1 can of diced tomatoes and green chilies rotel. Season and brown your ground beef to your liking. 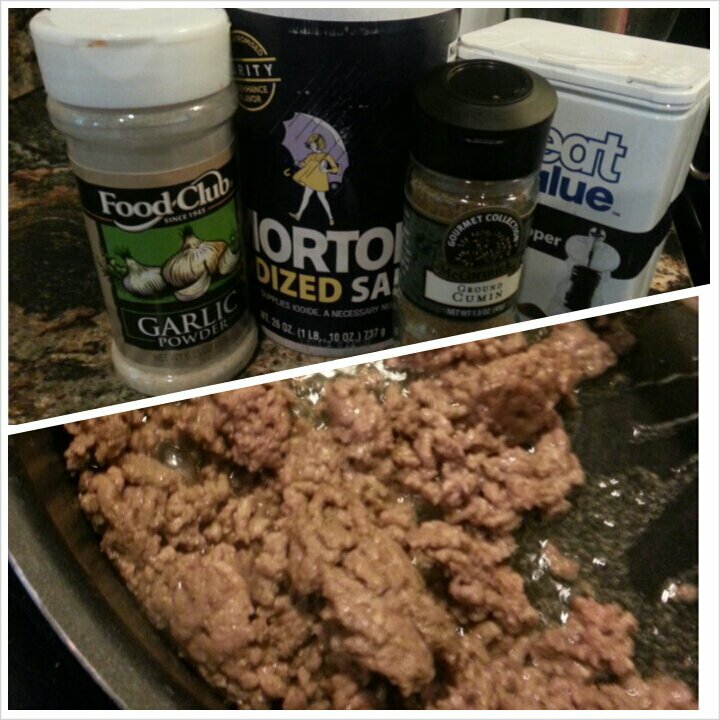 I use salt, pepper, cumin, and garlic. Occasionally, I put chopped onions but I didn’t have any today. 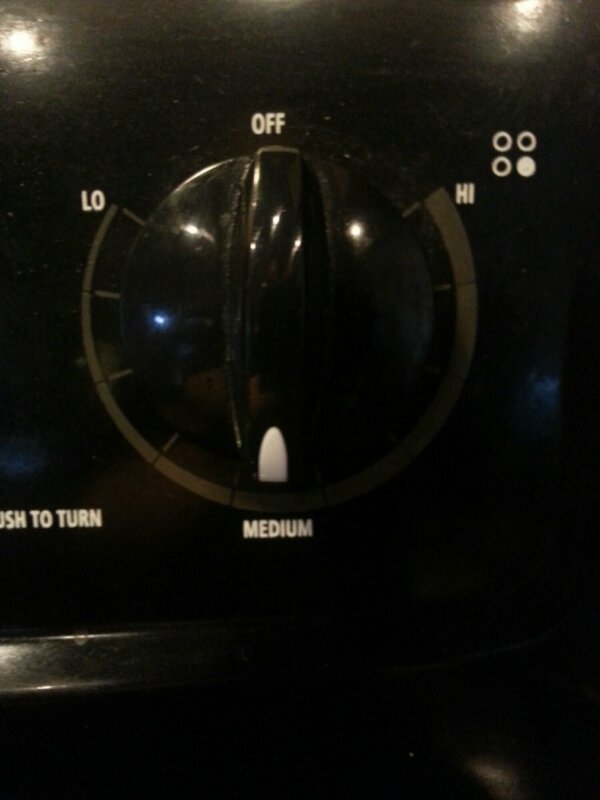 Set your stoves heat setting to medium and let it simmer for about 30 minutes or so. 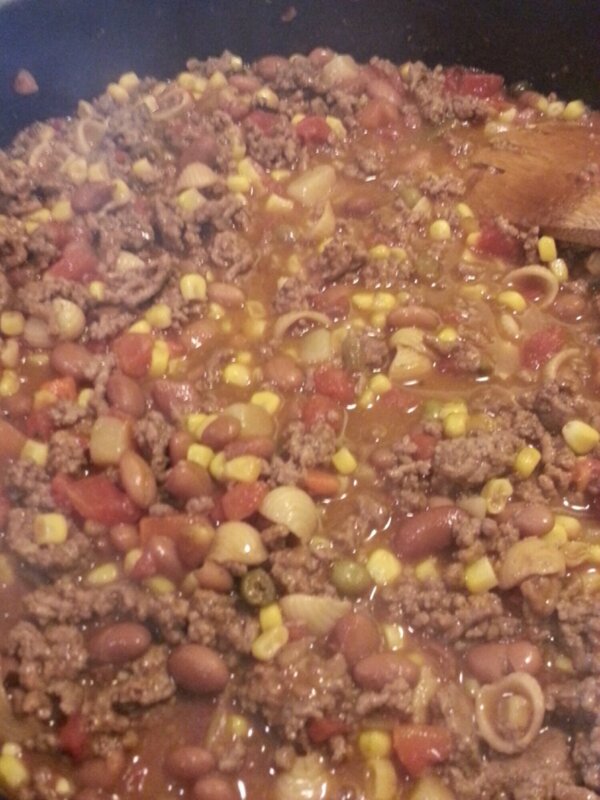 This entry was posted in Recipes, Uncategorized and tagged Chili, Cornbread, crockpot, easy recipes, ground beef, Recipe, Winter on November 18, 2013 by Monica.